Skiers and riders at Stratton Mountain Resort had 40 open trails to choose from after Winter Storm Bruce roared through (Courtesy Stratton Mountain Resort). 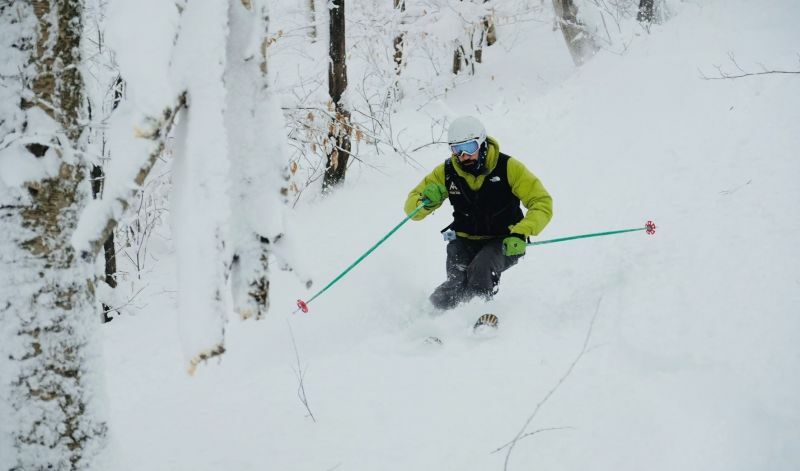 Smugglers' Notch Resort saw its November snowfall total increase to more than six and a half feet thanks to Winter Storm Bruce (Courtesy Smugglers' Notch Resort). Winter Storm Bruce left Sugarbush Resort with abundant natural snow in play all over the mountain (Courtesy Sugarbush resort). 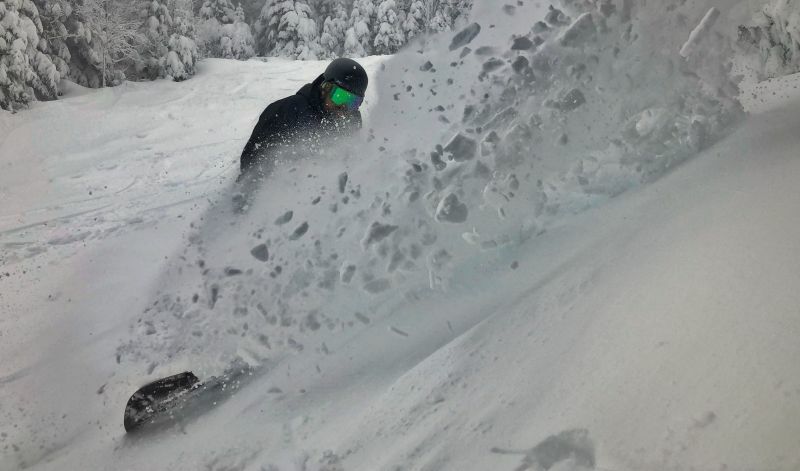 Face Shots were on the menu after Winter Storm Bruce allowed Mad River Glen to reopen Thursday (Courtesy Mad River Glen). A snowboarder rejoices at the 22 inches of fresh snow dumped on Mount Snow Resort by Winter Storm Bruce (Courtesy Mount Snow Resort). 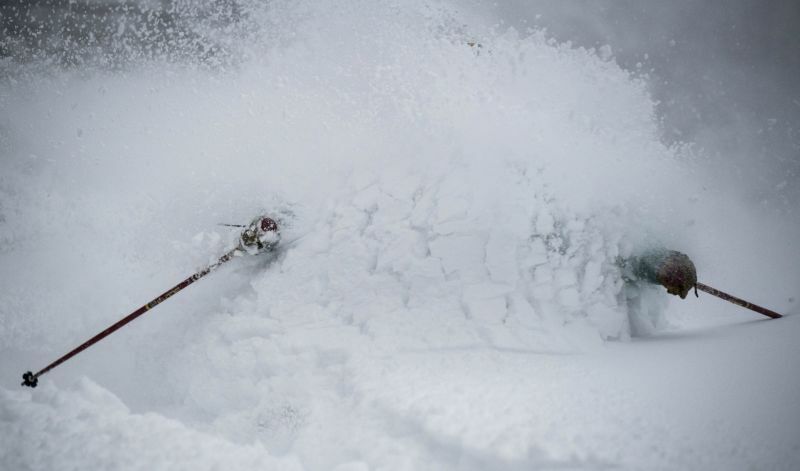 Winter Storm Bruce finally released its grip on Vermont on Thursday – but only after dumping up to several feet of fresh snow on the state’s ski areas in an exclamation point on a “Snowvember” for the ages. 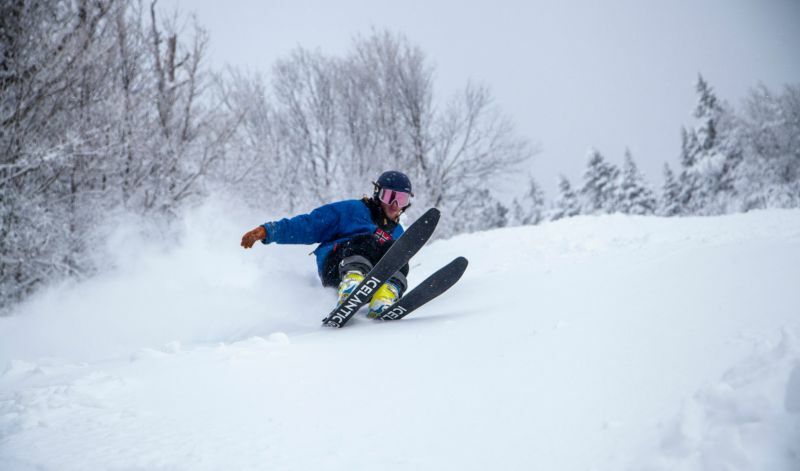 Smugglers’ Notch Resort was the recipient of 28 inches of snow from Bruce, bringing its base depth to a whopping 86 inches and setting the stage for summit-to-base adventure on Madonna Mountain, Sterling Mountain and Morse Highlands. Mad River Glen received 34 inches of snow at upper elevations, prompting management – which had planned to suspend operations during the week and reopen for the weekend – to open back up on Wednesday instead, with every vertical foot of its skiable terrain in play. “We went from closed to 100-percent open overnight,” said Marketing Director Eric Friedman. Two feet of snow landed on Magic Mountain, prompting owner Geoff Hatheway to make a similar call to reopen Thursday rather than wait for the weekend. “We opened with 100 percent of our trails and glades open,” Hatheway said, calling it a “great start to the year” that began with his ski area’s earliest opening day ever on Nov. 24. Stratton Mountain Resort measured more than two feet of fresh snow from the storm, which helped add a dozen trails to its lineup to bring it to 40 – including glades Shredwood Forest, Diamond in the Rough, Emerald Forest and Daniel’s Web. “That’s more than double the number of trails we had at this time last year, and who remembers skiing and riding the glades in November?” said Myra Foster, senior manager of marketing and communications at Stratton. Two feet of fresh snow brought Sugarbush Resort’s total for November to 51 inches – which Communications Supervisor John Bleh said was Top 5 all-time for the month in the resort’s history. 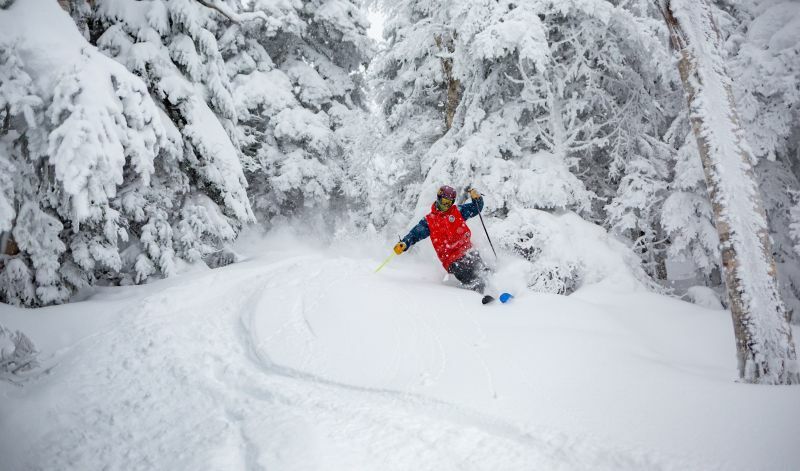 “Thanks to the snowfall we were able to open an all-natural Stein’s Run, natural snow terrain everywhere we are running lifts and hiking access to Castlerock – all the earliest in recent memory,” Bleh said. Killington Resort was buried in 26 inches of fresh snow, boosting its open trail count from 36 trails before the storm to 62 after. Communications and Social Media Manager Courtney DiFiore said the resort expected to have more than 90 trails open for the upcoming weekend. 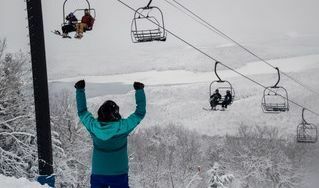 Jay Peak on Thursday reported up to 22 inches of new snow over the previous 48 hours and announced plans to spin its Tram and Bonaventure Quad on Saturday, servicing 100 percent open terrain. Okemo Mountain Resort reported a total of 23 inches from Bruce, while Stowe Mountain Resort received 21 inches. Check out Ski Vermont’s Conditions Page for snow totals and open trail counts at alpine and cross country ski areas across the state.